The questioner asks: What is the status of patience and what is the reward for those who exercise patience? A person should also exercise patience in seeking to nurture his (or her) children and teaching them good manners and behaviour. 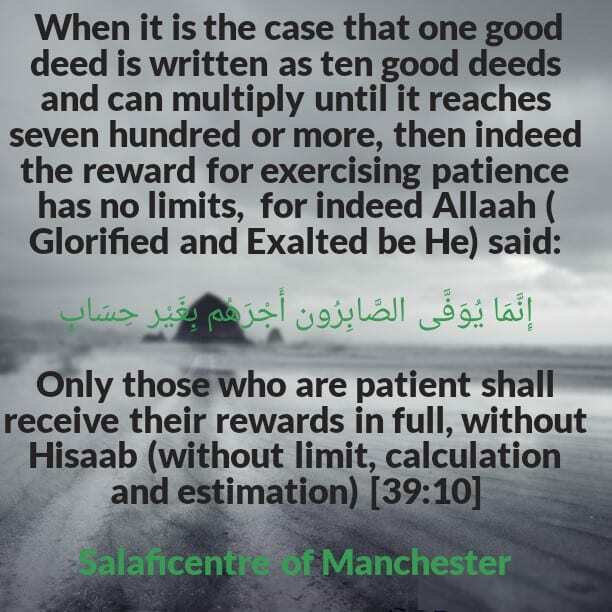 The second type of patience is when a person exercises patience in seeking to restrain him (or herself) from disobeying Allaah: A person excises this patience in order to prevent him or (herself) from sins and (evil) desires. And among those sins a person should keep away from is that he refrains from violating the honour of the people. Alqamah (radiyallaahu-anhu) said: This (ayah) is about a person who is afflicted with a calamity and he knows that it is from Allaah. So he becomes pleased with what Allaah has decreed and submit to Allaah’s judgement, and he (or she) says: ‘’this is Allaah’s decree. 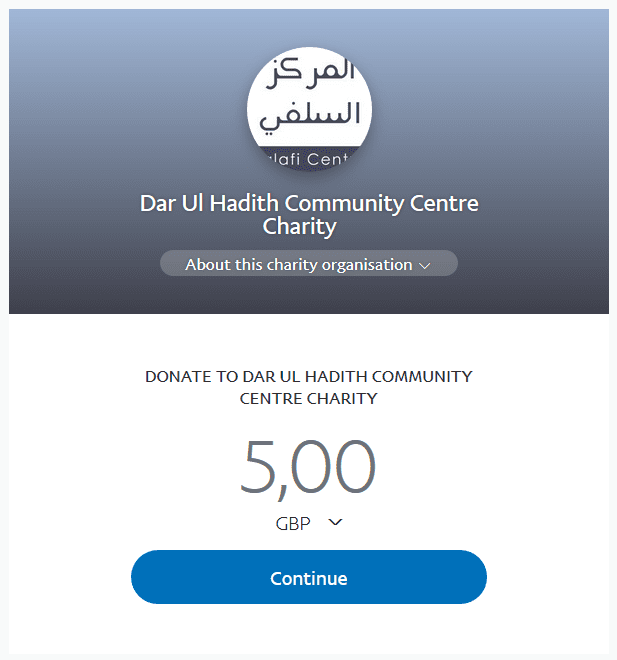 I believe in Allaah and we are pleased with Allaah’s decree.” So Allaah fills his heart with Eemaan and tranquillity, and he (or she) receives a great reward (i.e. due to his patience).